Was your New Year's Resolution to get in shape? Well, the Cranky Audiophile's Guide to Audio Facts and Fallacies is sure to get your heart racing and your blood pumping! Read on as Alan Lofft debunks popular audio myths, and then weigh in with your opinions on our message boards! Q. I've been told that in order to keep cable length consistent, the speaker wires from my new receiver to each speaker should be cut to identical lengths; in other words, the cable to the left front speaker should be the same length as the one to the right front speaker and to the center speaker. Do you agree? A. No, I don't agree. If you use speaker cable of sufficient thickness 12-gauge or 14-gauge for all your speaker connections, the resistance of the cable is so insignificant that you can cut each of your cables to whatever length you need to conveniently reach each speaker. Just use inexpensive 12-gauge speaker cable such as Axiom's bulk cable up to lengths of 75 feet or more with no losses in the audio signal or degradation of any kind. As the gauge number increases (12, 14, 16, etc), the cable gets thinner. Lower numbers mean thicker cable, which is desirable for longer runs and lowest resistance. For short connections, 10 feet or less, 16-gauge is ample; use 14-gauge for lengths up to 25 feet; and 12-gauge for lengthy runs. To keep things simple, use 12-gauge everywhere and cut whatever lengths you wish. Q. Which TV display technology is best? LCD or Plasma? Some store sales people claim that plasma sets use twice as much power as LCD sets. Others say that plasma screens have better "blacks". Can you enlighten me? A. With recent technology advances, both plasma and LCD flat screens are now capable of excellent picture quality; so close that when viewed head on with carefully adjusted picture displays, they are almost indistinguishable even by trained viewers. However, some differences remain. If viewed from angles to the side, all LCD displays show a loss of contrast between black and white areas and degraded color consistency. This will vary from one brand to another and you can easily check that in a store. Just watch a high-quality HD broadcast on an LCD display and walk from one side to the other to see if the image quality deteriorates when viewed at angles from the side. Plasma displays are not subject to this problem; the image quality remains constant in contrast and color even viewed at extreme angles. Plasma displays have traditionally had better "blacks" more intense than LCD displays, but new LCD models that use LED edge lighting and/or "local dimming" driven by image content produce excellent contrast and black levels. If you view a lot of fast-moving sports, plasma sets are a better choice: their pixels turn on and off faster than LCDs, but new LCDs use multiple refresh rates to limit the "ghost trail" of fast-moving objects visible on some older LCD displays. A hockey or basketball game in HD on a store display will reveal if an LCD set has any "smearing" problems with fast action. As to power consumption, the early plasma displays did consume a lot more power than LCD displays. New plasma sets, however, have reduced power consumption to almost equal that of LCD displays. You can check the power consumption in watts if you look at the owner's manual online or check the specs in the store. Be sure to compare sets of the same or similar screen size. Large-screen sets will consume more power than smaller ones. Q. I was told that "dirty power" from the wall outlet in many homes can be blamed for TV interference and poor sound quality and that I should buy a power conditioner along with my new AV receiver and home theater system. What are your thoughts? Use the money you save by not falling for the power conditioner scam to buy more great music or excellent speakers that really do make a difference in sound quality. Q. 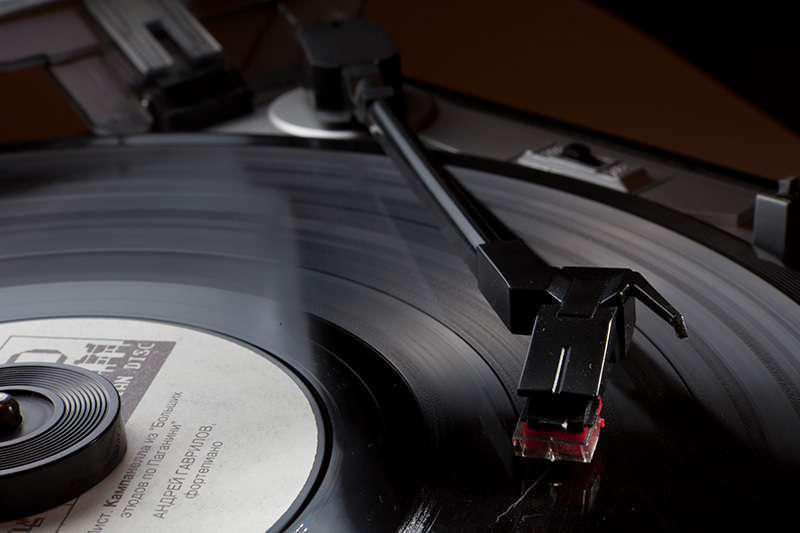 It seems that turntables and vinyl (LP) analog records are seeing a revival in popularity because of backlash to the harsh "digital" sound of CDs and other digital media alleged by some audiophiles. Do vinyl LPs really sound better than CDs? A. There has been a small resurgence in the sales of vinyl albums and turntables relative to the enormous popularity of digital media like CDs, DVDs, Blu-ray discs, and online music sales, but the reasons behind the vinyl uptick are triggered by nostalgia for the large-format album covers (large LP jacket notes are a lot easier to read than the tiny print in a CD booklet) album artwork and because analog recording and playback is simple and understandable! You can see the vinyl platter revolving (what fun it is to see the label going round and round) and the tiny squiggles in the grooves. With CDs or music files, you can't see a digital stream of 1's and 0's, and you almost need a graduate degree in math to understand digital sampling and quantization, which make digital recording media seem clinical and unfriendly. But don't talk to me of superior sound quality from vinyl discs. The only reason an LP can sometimes sound great and many do when everything is done just right, including cleaning the vinyl disc is that great care was taken by the recording engineer in the choice and placement of microphones and later mastering of the album. Conversely, digital recording is a transparent medium that reveals the best and worst of recording practices. Done well, a CD can be a revelation in sound quality; done poorly, as with many contemporary pop/rock recordings with severely compressed dynamics and exaggerated midrange (for airplay), a CD can be unlistenable. Vinyl, because of its poorer frequency response, tends to make bad recordings more listenable by concealing the worst distortions in layers of extraneous hiss and groove noise. Digital recordings reveal all the warts and poor choices made by the recording engineer. However, any claims that analog vinyl recordings inherently sound better than digital recordings are ludicrous. The analog medium is so plagued with various distortions, let alone the dust, dirt and ticks and pops of imperfect vinyl pressings, that it often makes listening to vinyl serious work as you try and ignore the extraneous noise, audible wow or flutter and distortion on loud passages of an LP. There are hundreds of wonderful sounding and terrible sounding vinyl discs in my own collection, just as there are thousands of great and poor-sounding digital recordings. A great analog recording can certainly match the sound quality of fine digital playback, but it's rare, and the tedium of cleaning LPs and other intrinsic flaws of analog make it, for me, a charmingly nostalgic but obsolete medium for music recording and playback. Q. In many areas of consumer purchases, increasing price usually brings greater sophistication and refinement for example, in automobiles. Does this also apply to CD players and loudspeakers? A. In terms of sound quality, definitely not in CD players or DVD players. The 1's and 0's that represent the music signals are digital streams read by a laser and so long as they are complete they will be reformed by the player's digital-to-analog converters into analog music signals that sound exactly the same from a $100 player as from a $4,000 tweak "high-end" playback unit. The digital converters are mature technologies and any distortions are so far below audibility that they're buried in the noise floor and require careful test instruments to detect them. 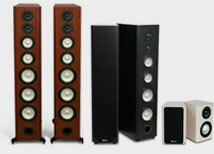 Put to a controlled blind comparison with identical discs running in a low-cost player vs. a high-end player with output levels equalized, no audiophile has been able to distinguish the low-priced player from the costly one beyond the level of chance. 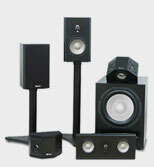 Loudspeakers are different. As analog devices, there are refinements and care in design, measurement, and manufacturing that come with higher cost and yield improved sound quality—up to a point. 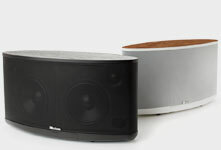 However, in my long experience of editing audio and audio-video magazines and doing hundreds of listening comparisons in controlled (mostly double-blind) environments, it's entirely possible to find compact speakers for less than $400 a pair that can deliver a highly satisfying musical experience and reproduction of all but the very deepest bass. 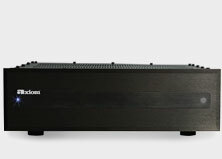 Getting profoundly deep and powerful bass and very loud clean playback costs more, but that's still possible at affordable levels in my experience, for less than $2,000 per pair. Beyond that, it's largely cosmetic detail (exotic finishes for example), marketing expense and dubious claims to sound quality that raise the prices. That's it for this round: five more facts and fallacies to stew over in your leisure time. There are more, but those will appear in a future installment of Axiom's AudioFile!